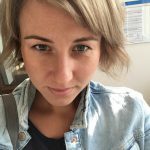 Foreigners.cz’s office in Brno has been leading by a new Executive Director. His name is Aleš Malár and he started to work on the position in December, 2016. Aleš replaced a former Executive Director Michal Abdum Karim who is currently taking parental leave. 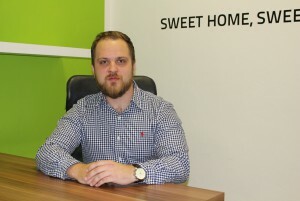 The new Brno office’s leader comes from a smaller town near to Hodonín, the South Moravia Region but he lives with his girlfriend in Brno and plans to settle in the city or its neighborhood. He came to Foreigners.cz after spending more than 3 years in Edmonton, Canada. In the town well known for ice hockey and a legendary player Wayne Gretzky Aleš worked at the company Great Cookies by George Inc. „From a production worker I moved up to the product manager/team leader position gradually. It’s been an invaluable experience for me which I am going to take advantage of for the rest of my life,“ says Aleš. The new member of the Brno crew is sports-minded. He likes mountains and fell in love with cooking. „My favorite animal is a bear who I was honored to meet a few times in Rocky Mountains. And I like to use a sentence ‚One beer, please’,“ he reveals.